Welcome to Day #13 of Chocolate and Peru Theme Week. 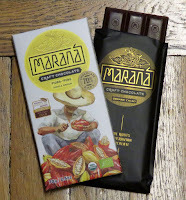 Today's organic, Marana Craft Chocolate 70% Piura Peru bar was produced by Cacao Valley E.R.L. in Lima, Peru. 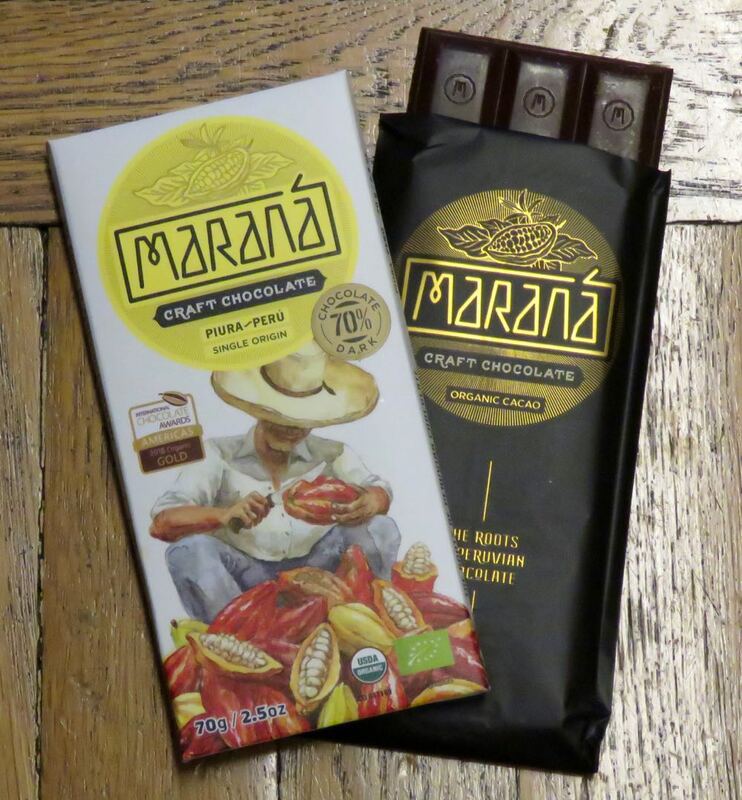 The company's Piura "collection is made from the finest variety of "blanco" cacao beans, grown in the fertile valleys of Alta Piura." These beans yielded a great fruity tasting 80% Piura Peru bar yesterday, and a similar, slightly sweeter 70% Piura Peru sibling today with balanced red fruit (cherry) and citrus (tangelo-to-tangerine) notes. Tasting notes on the package read: "This chocolate boasts a huge personality, offering an...experience dominated by fruity citrus notes."